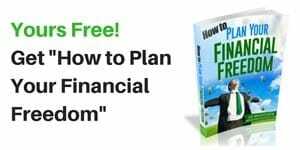 Frequently when you think of planning for retirement or becoming financially free in general, you think about how much money you’ll need to save in order to generate the kind of income that you’re use to. For example, how can I save $1,250,000 so that I can draw 4% and take out $50,000 each year? In this post, we’ll look at the other side of the coin. Instead, we’ll look for a way to reduce how much income you’ll actually need while on your own. And how will we do this? By focusing in on one of your largest expenses – your mortgage. For most of us, not having to pay a mortgage anymore would save us anywhere between $500 and $1,500 per month. Say, for example, you think you’ll need 80% of our current income and that number equals $4,000. If part of our money design was to pay off our mortgage before we retire, then this may reduce our monthly income needed down to, say, $3,000. That’s a pretty significant burden to be lifted off your monthly expenses. When you consider your other expenses, it’s unlikely that you’ll simply spend less with your credit card for food and goods, or that you’ll quit having a phone or TV. Even your car loan is a bad place to look because chances are that you’ll probably just buy another car in the next 5 to 10 years and start a payment all over again (unless you can somehow swing always paying cash). But once your house is paid, it’s paid! And as long as you don’t move, you’ll be basically living rent free for the rest of your life without owing anyone except Uncle Sam. • The more time you’ve got between now and your goal, the less painful it will be to put extra principal payments towards your mortgage and make it disappear altogether. Let’s use a real life example: My wife will be eligible for her pension in 13 years. So let’s pretend we’re going to start an early retirement that same year. Knowing that I’ve got to accelerate my payments so that I can finish off my mortgage in 13 years, I can use my handy Microsoft Excel spreadsheet to figure out just how much extra principal payment I’d have to send in with my regular mortgage payment to try to finish the job. Using trial and error, I determine that I’d need to send in about $325 each month to accomplish this. Hmmm … where could I find $325 per month (or $3,900 per year) to meet this goal? Oh yeah – my income tax refund! Remember that when you’re given the choice between paying off your mortgage and investing the money, the trick is to look at the interest rate. Paying off your mortgage early is like investing your money at the mortgage interest rate. 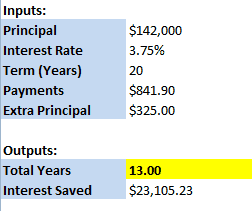 In my example, the extra money I’d use on my mortgage would basically yield me a guaranteed 3.75% return. If you haven’t already maxed out your IRA or employer retirement plan where the average rate may be closer to an 8% return, then I’d put the money there first before you start paying extra on your mortgage. Readers: Will you be paying off your mortgage early before retirement? If yes, is this because you want to ease the burden of how much money you’ll need, or because you simply hate debt. If not, then I’d love to know. What other major hurdles do you plan to tame before launching into retirement? 1) Will Dividend Stocks Help Me Retire Early? Will Dividend Stocks Help Me Retire Early? We are, but mainly because it’s a way to diversify our savings portfolio. We’re not throwing everything off it for the same reason– diversification. Nicoleandmaggie recently posted..Should kids have to take a minimum wage job while they’re teens? It’s not a bad idea! Paying your mortgage down early is the same thing as getting an instant rate of return equal to your mortgage interest rate. Yes I will definitely be paying off my mortgage before retirement. Eliminating that expense would be great. I know I’d be doing a lot better to not have to pay an extra $1000 per month! We meet with people daily about retirement planning and being completely debt free (including the house) is such a big deal! You’d be quite a “Big Shooter” walking into the mortgage closing with a briefcase full of hundreds! LOL! I’ve always wanted to do that! DEFINITELY. I haven’t even bought yet, but this is why I’ll never rent for long term – you can pay off a mortgage and downsize in retirement but you will always have to pay rent as a renter! You’ve figured out what half of America still has not! And soon enough you’ll have a house. It’s certainly better to own a home than rent. Rents go up each year, and the only one that benefits is the owner of the rental property. However, your home is your investment. Once you’ve paid it off, you can own it free and clear, and never again have to worry about making mortgage payments. Exactly! Having a place of my own where all I owe are taxes – it has to be a part of my retirement plan! That sounds like an awesome plan. I’ve done some calculations for retirement…it’s intimidating! I love the idea of buying/paying off a home by your hopeful retirement date. You could go on vacation every month with that money not flying out of your account…or just live on less! Don’t temp me with those vacations! It sounds all too good! Amen!! I will absolutely have my mortgage paid off before I retire. Even if you don’t plan on living in the home, having it paid off will give you so much more flexibility! You could sell it or rent it out. You could pass it on to your children or use it as a vacation home if you want to travel. Much better to pay it off than to have a mortgage in retirement! Ashley @ Money Talks recently posted..Should I Get Married with Debt? This is so true! There’s a lot of options and benefits to having it paid off before you kiss your job goodbye. 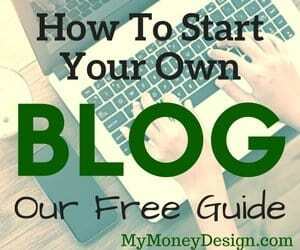 I know I won’t want to make that huge payment every month when I’m living free! I definitely want to hit my mortgage hard. We have a 7.25% interest rate. We are working on my husbands credit score so that we can refi to a lower interest rate. At the rate we are at an extra $200 a month would get the house paid off in 13.33 years. OUCH! 7.25%? I wish you good luck on trying to qualify for a refi. It’s tough to get that credit fixed once it is what it is, but it can be done with time and discipline. It’s important to buy a home that you can pay off as quickly as possible, and — for that reason alone — buy as little home that you need to live comfortably. Your inner happiness is much more important than carrying debt for a long time. Shilpan recently posted..The Buffett Rule: Does it make sense? I will be paying mine off before retirement yes, but not making extra payments to shorten life of the note. I choose to keep my liquidity and not lock it up in my home right now given I have a super low mortgage rate. My plan is to pay it off in one lump sum once I retire. I don’t blame you. For years, I have also opted not to make any additional mortgage payments for this very reason. In fact, when I refinanced, I specifically chose the 30Y instead of the 15Y just to guarantee lower minimum payments. If I got fancy, I could always send in more cash and create my own 15Y plan. Only recently am I starting to consider ALL of my alternatives to achieving an early retirement, and starting to view this as a possible way to offset my future cash flow. 1. the ROR on your mortgage is guaranteed vs no guarantee you will make any money in this market. 2. the sense of lifestyle security after having the mortgage paid off is priceless. 2)	Again I fully agree. Once the house is yours, it’s yours. Period. What you do with the mortgage payments you “would have made” is now up to you. I will play the devil’s advocate. You have one friend when you owe money, inflation. So, in 30 years, your current payment (P&I) will be relatively small. And with today’s interest rates, what is the hurry? I know a retired guy (been retired for over 10 years) who keeps doing a refi and is no hurry to pay the house off, getting into a 30 year mortgage each time. And, with the extra principal you put in, could you make more return in the market? But, this is all dependent on what kind of tools you have in your retirement toolbox. Are you fully annuitized? Maybe a portion is in an annuity? Or, are you subject entirely to market fluctuations? Renting isn’t bad. No repairs and maintenance, no upgrades etc. I’m half tempted to do it, just to simplify my life. And I think the costs will be similar, especially when accounting for what my equity would fetch in the market. I currently pay the minimum payment. My rate is low, inflation is on the rise. Keep my cash flow up. And just as the poster above, I’ll examine the options when/if I have a retirement. Ahh, the old “what about inflation” argument. Bichon, you are correct. A standard 30 year fixed rate mortgage does not take into account inflation. 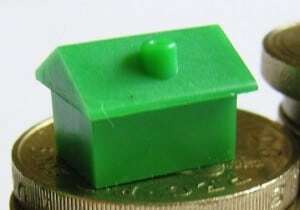 So yes, my mortgage payments 30 years from now could appear relatively small when compared to everything else. But when planning for retirement, our options in the present are to 1) invest the money for future use or 2) pay off our debts early. To counter your point on inflation, if I opt to invest in an ETF index fund, this would also not adjust with inflation. So given my two options about what to do with the money now, the argument about inflation becomes a wash.
Now let’s say I didn’t have the money at all, so there is to be no additional money to go towards investments or paying down the mortgage quicker. In this scenario, the option to increase my cash flow artificially by applying for a refinance over and over again is a creative move. BUT –What guarantees do we have that interest rates won’t go up in 10 years when we go back to the table for a refinance? Now I would be stuck! Also, suppose I’m 60 years old and I refinance for a 30 year mortgage again. This calls to question some ethical issues. I don’t think my children would appreciate my leaving my mortgage debt burden for them to deal with at such an elderly age. I am not annuitized but have considered making this a part of my strategy. I have yet to look further into it. 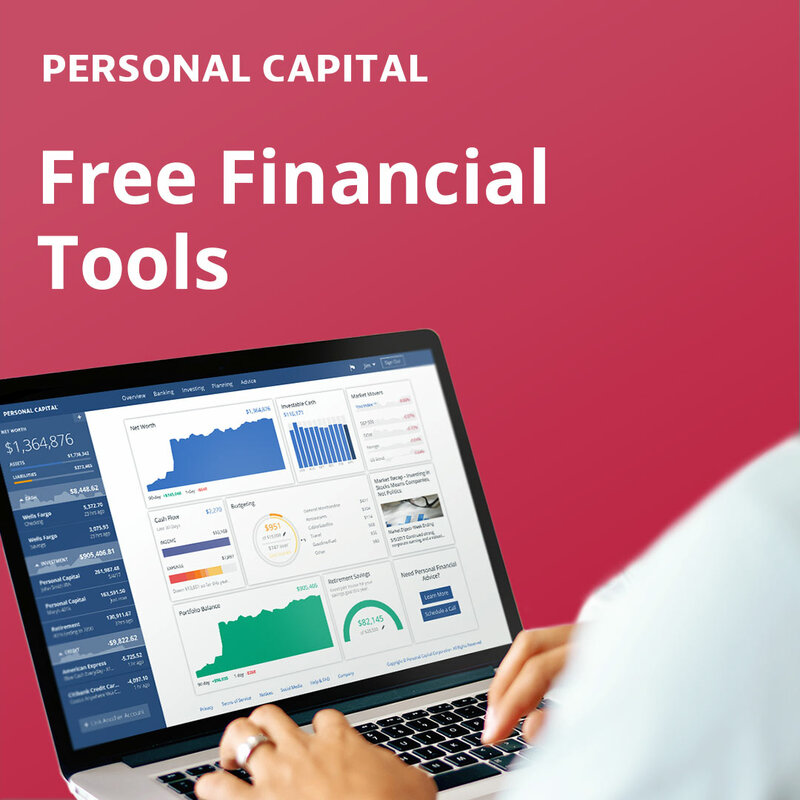 I am currently based mostly in mutual funds across my personal and employer plans. I can see some situations where renting may be beneficial. Especially with the repairs, things can get expensive (Example: A new roof). But I do have my doubts as to whether they actually ever exceed the cost of renting for 20 to 30 years. Plus, if my goal is to increase my future cash flow, then I really don’t want either the house or rent payment. Ideally I’d like to create a situation where all I pay are my taxes. taking a retirement before 59-1/2, the alternative of offsetting my future cash flow by $1000 or so seems to be a worth-while consideration. I’m not advocating one way or the other. Just throwing out that there are other schools of thought. Many people have retired, early, on-time or late with and without a mortgage. Actually, being invested in stocks is a hedge against inflation, depending on what theories you subscribe to ($ worth less, earnings appear to go up, stock market goes up). No problem! I enjoy the alternative point of view. You are correct that there are certainly many ways to accomplish the same goal. In fact, tomorrow’s post will be about a guy whose advice I hardly agree with at all but still really respect. Retirement feels so far away, I’m not sure if my wife and I will pay off the house or not by then. It’s hard enough making ends meet right now! Since she’s in charge of our finances though, I shoudl ask. Welcome to the site! Ha – good job admitting someone else is in charge of the finances. No shame. If money is tight, then these types of “pay off your debt early” strategies can be something you come back to later – there’s no rush.